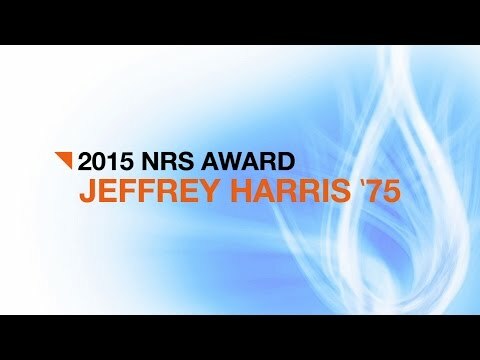 Jeffrey K. Harris, who has dedicated his career to helping maintain national security in both government and industry, received the 2015 NRS Award, the highest honor given by Rochester Institute of Technology’s Nathaniel Rochester Society. Harris received the award at a gala July 9 at the Gene Polisseni Center on the RIT campus. The annual honor recognizes individuals who have made outstanding and significant contributions to the university’s advancement. Harris, who lives in Arnold, Md., graduated from RIT in 1975 with a bachelor’s degree in photographic science and instrumentation. For more than 35 years, Harris held positions that contributed to national security. He served as a corporate officer, president of Lockheed Martin Missiles and Space and president of Lockheed Martin Special Programs. He also served as president of Space Imaging, the first company to commercially provide high-resolution satellite imagery and information products of the Earth. Before that, Harris served in senior national leadership positions, including assistant secretary of the Air Force for Space, director of the National Reconnaissance Office and associate executive director of the Intelligence Community Management Staff. He provided direct support to the Secretary of Defense and the Director of Central Intelligence. Harris has received numerous awards, including the National Intelligence Distinguished Service Medal, the CIA Distinguished Service Medal, the National Reconnaissance Office Medal for Distinguished Service, the U.S. Geospatial Intelligence Foundation Lifetime Achievement Award, the Honorable Peter B. Teets Award and the James V. Hartinger Award for military space achievement. 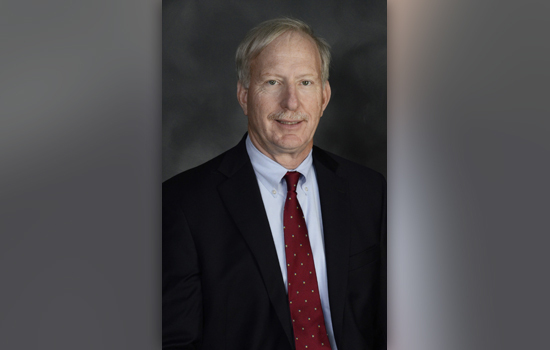 In 2002, Harris was honored as a distinguished RIT alumnus, representing the College of Science, and he was elected to the RIT Board of Trustees in 2007. Harris established the Jane King Harris Scholarship in honor of his mother’s 90th birthday. His mother, Harris said, has always been actively involved in education and Harris credits her as the reason he attended RIT. The Jane King Harris Scholarship recipient is Pech Chhun, a Rochester City Scholar, who hopes to one day become a physician. Chhun, a rising senior, attended the NRS gala. An incoming Rochester City Scholar also will receive the scholarship this fall. The mission of the Nathaniel Rochester Society is to develop friends and ambassadors to promote and support RIT. The NRS Award, established in 1972, has been permanently endowed through the generous gift of Mr. and Mrs. Marcus N. Barbour, charter members of the Society. Past recipients of the NRS Award include the Gosnell family, B. Thomas Golisano and E. Philip Saunders.